Aurum Ultra High Performance, High Definition Balanced XLR audio cables offer the highest level of audio purity for home theater and high-end audio enthusiasts. 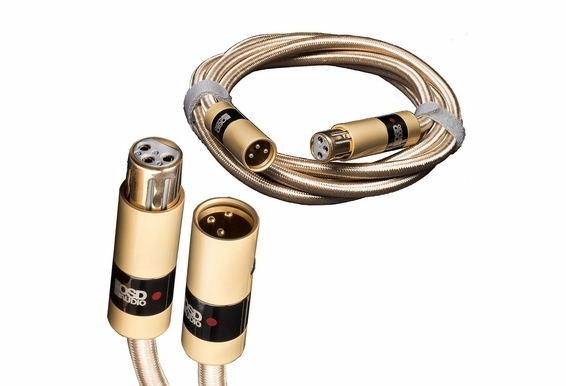 This XLR-male-to-XLR female Aurum cable includes 99.99% pure copper dual center conductors and a braided gold cotton outer jacket to block noise so you hear soundtracks and mixes with pure tonal quality. Available up to 10 meters in length, Aurum’s balanced XLR cables are an ideal addition to multichannel home theater and 2-channel systems with balanced cable inputs. Aurum Ultra High Performance, High Definition Balanced XLR audio cables offer audio purity for home theater and high-end audio enthusiasts who appreciate a truly accurate audio signal. 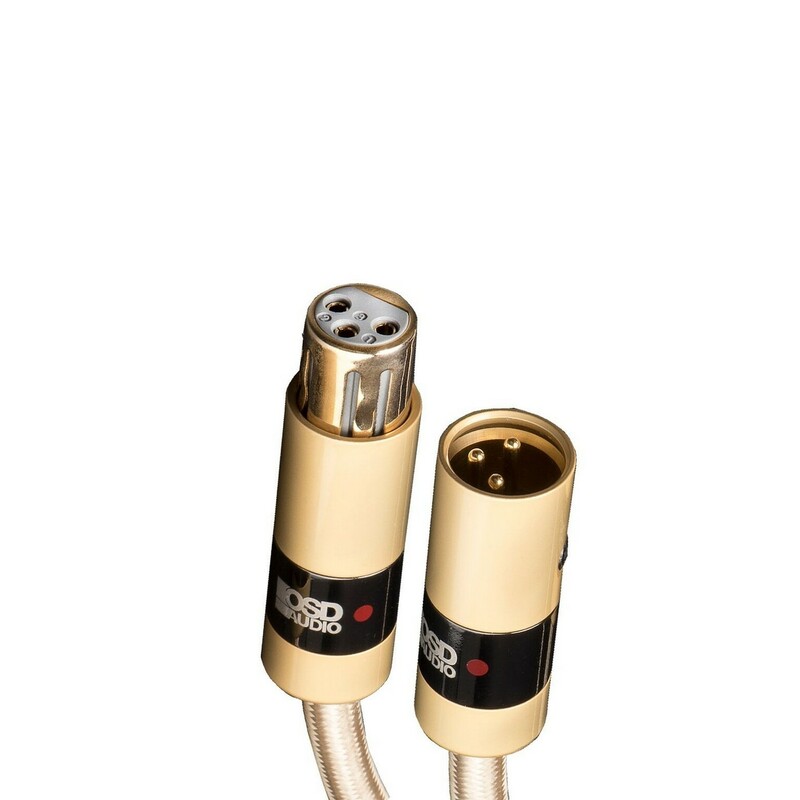 Aurum XLR cables are an ideal addition to multichannel home theater and 2-channel systems designed for high fidelity sound and can be used with amplifiers or source equipment with a balanced cable input. While many high-end cable manufacturers exaggerate the sonic qualities of their cables or use terms based on sales, not science, at Aurum, we’ve designed a sophisticated yet affordable XLR cable with features that will impress even the most skeptical audiophile. Aurum Ultra XLR balanced audio cables maximize the dynamics of your surround sound system or 2-channel audio setup and bring out subtle audio nuances. A quality balanced XLR cable will deliver cleaner and silkier top-end audio and reveal the micro details of instruments that you would not otherwise hear. Sound stage and instrument localization can also be improved. Aurum’s advanced, low-loss conductors and extremely low capacitance measurements will bring your sound to the level worthy of the A/V equipment you invested in and carefully designed. 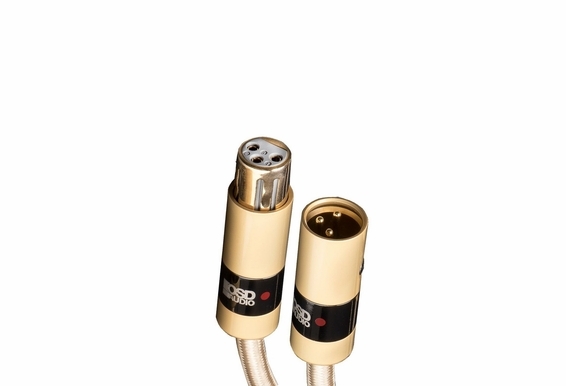 Aurum Ultra Balanced XLR Audio Interconnects contain 99.99% pure copper dual center conductors. The high conductivity of copper adds warmth to the audio and allows subtle sonic detail to come through, particularly on low- and high-end frequencies. Aurum Ultra XLR balanced audiophile interconnects are also extremely well shielded from RFI and EMI or “hum and buzz” that can invade even the most meticulously planned audio or surround sound systems. Our premium XLR cables include a braided gold cotton outer jacket that is both durable and extremely flexible as well as a low-loss third conductor to help reject noise and interference. In addition, Aurum’s proprietary custom tooled gold/ gun metal barrels maintain signal integrity and withstand years of frequent connecting and disconnecting. High-end audio cables can be a lot of “smoke and mirrors” with exaggerated claims to convince you to buy extremely expensive cables. Aura makes cables that do what they say they will, but we don’t exaggerate our claims or our price. The integrity of each cable is carefully tested throughout our manufacturing process, so every Aura cable delivers on performance or you can return it with no questions asked. Available 1M, 2M, 3M, 5M, 6M and 10M sizes, Aurum XLR interconnects also include two Velcro cable ties that keep the cable runs neat and manageable.